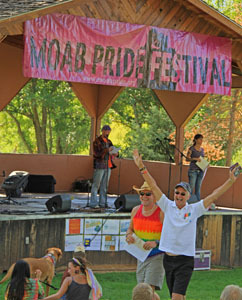 Sheri Griffith River Expeditions is a proud sponsor of the Moab Pride Festival. Again this year we are giving away a river trip at the Moab Pride Festival. 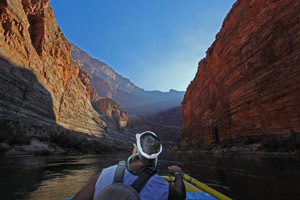 And now we are offering a 1 day Westwater Canyon trip starting Sept 26 with part of the proceeds going to Moab Pride. 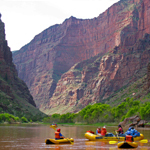 Westwater Canyon rafting is a classic Colorado River adventure. Journey though 1.7 billion year old black rock, topped by towering 1000 foot red rock sandstone spires. Our paddleboats are great for adventure seekers who want to get “up close and personal” with the rapids, and our Oarboats are perfect for those who just want to enjoy the ride with a more mellow experience. 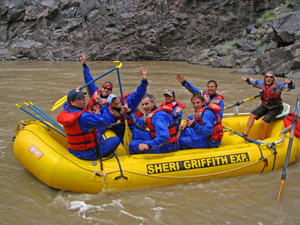 The Gates of Lodore on the Green River is one of the most popular trips Sheri Griffith River Expeditions runs. We have just added July 7th date to our 2014 Calendar. This means we have launches on June 8, 14, 19 and July 7, 31. This trip combines all the elements of a classic whitewater river trip: great hikes, exciting whitewater, beautiful beaches and colorful history. Take a journey into a spectacular wilderness. Because we have so few trips through Gates of Lodore almost all our dates sellout quickly. Book your trip now! It helps boost my immune system. Day 1 is about 4 hours long. Then blood tests day 2.